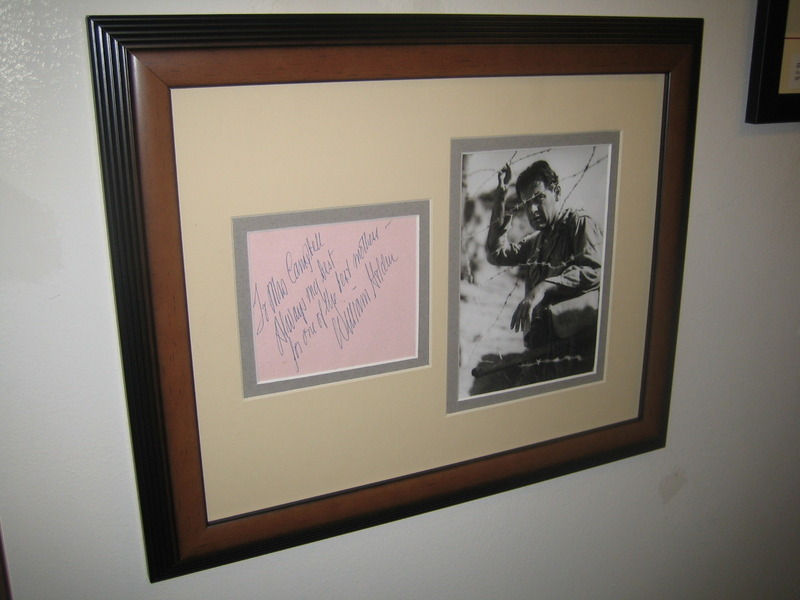 William Holden Signed Album page from actor William Campbell's mother's autograph album while he filmed Escape from Ft. Bravo with Holden. Custom matted and framed with photo to a 11x14inch format. Available from AWA, Inc. www.sign-here.com Sold to Aaron Kasmir 4/23/11.